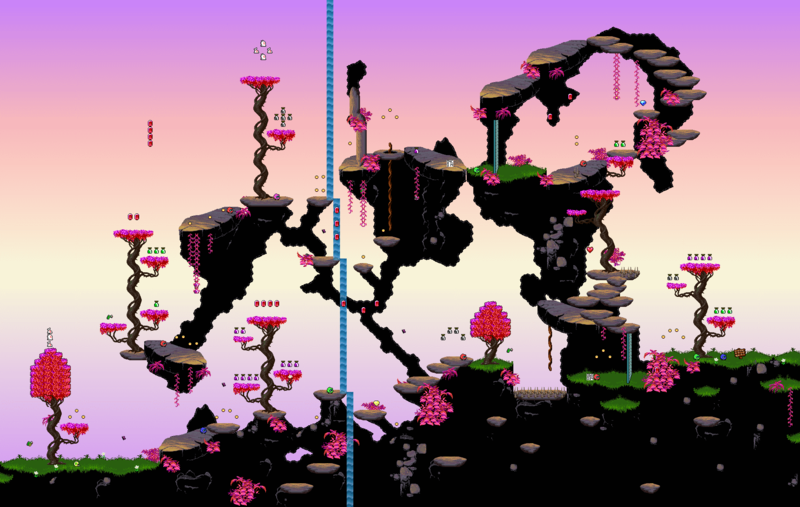 1 level demo using Nisaba's trees and some modified The Lion King (the game) tiles, as well as some new ones. 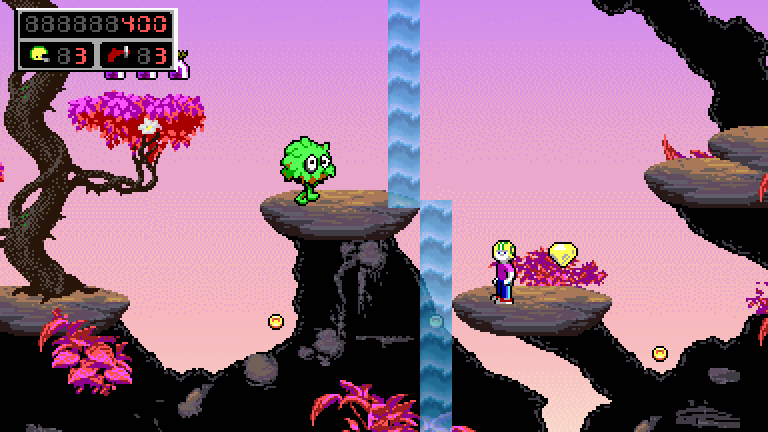 - several tile fixes and level adjustments. Better for speedruns. Last edited by Roobar on Mon Sep 11, 2017 22:12, edited 7 times in total. Spin-Off of a yet unreleased mod. yay! the level is very enjoyable. interesting expansion of the Keeniverse, though. I like the way you used the pink-leaf-trees. funny that it reminded you of The Lion King. I remember playing this game at a friends house, when I was a kid. this is bringing back sweet memories. even though my level is also vertical orientated it won't have this kind of Simba flavour to it. but nevertheless, I got inspired by one thing or another, so stay tuned. and thanks again for the stunned sprite of the Flumpy. I really enjoyed this level. Could it be the same Keen Engine Rübennase and King Duke created? I am not sure, it`s a long time since I saw it. It`s a great level and I want more. at a pole you can jump normal without any effect of gravity. Last edited by Shikadi-Network on Tue Sep 12, 2017 9:31, edited 1 time in total. Thanks for stealing and approving guys. Network: Yeah, when you start the game, it says with big letters that it is using KEENGINE. I wonder how you missed that. As for the "issues" you have: consider it as an improvement. Jumping up on a pole is now much faster. Better for speed runs as well. - several tile fixes and level adjustments. Yeah, I saw it, but I wasn't sure about it.